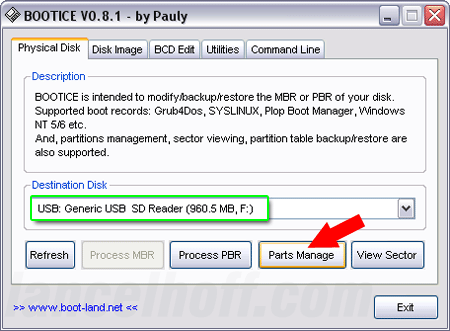 One way to Partition a USB Flash Drive from Windows XP and mark it active “bootable”. Windows detects many Flash Drives as “Removable Disks” and flash drives are often shipped formatted as a “Super Floppy” (USB-FDD without a partition table) . 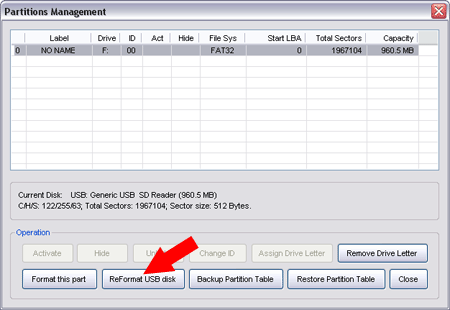 The Windows built in format utility cannot create a partition table on Removable Disks. 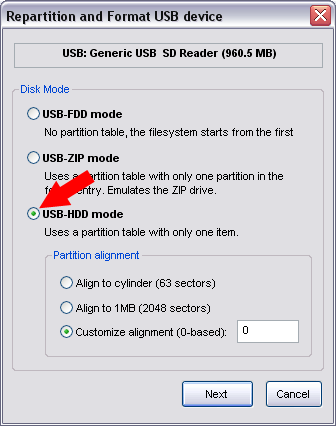 Furthermore, the diskpart utility in Windows XP will not allow you to partition Removable Media, although diskpart does work for partitioning a Flash Drive from Windows Vista/7. 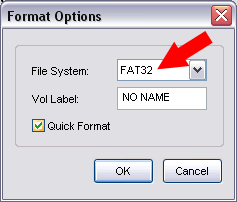 You should now have an active “bootable” USB-HDD Fat32 formatted Flash Drive, containing a partition table with a single partition. You should be able to Boot It as a Hard Drive.